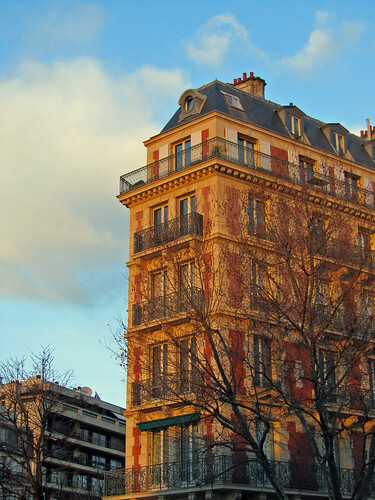 Parisian housing architecture is one of the most distinct in the world. When Napoleon III commissioned Haussmann to whip up some magic to reform the city, this civil planner not only redesign the layout of the city but replaced the buildings which today are still seen all over the city. (Yes, they are *that* uniform). Haussmann also incorporated various (small) gardens to his city plan, along with widened boulevards, specific building requirements, and quite importantly, winning everyone over with his genius in turning the old and rather unimpressive Paris into characters that many would still talk for years to come. I’d imagine though, for anyone with an apartment to the narrow side of the building, how did one start to furnish the apartment? Standard furniture won’t fit into the nooks and corners properly, so unless you’re rich like Creosus and them custom made. Must be annoying.